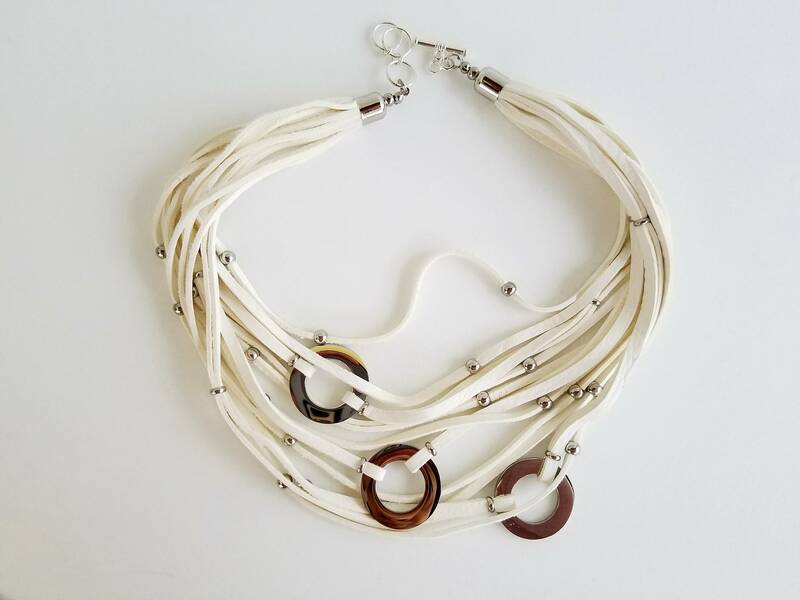 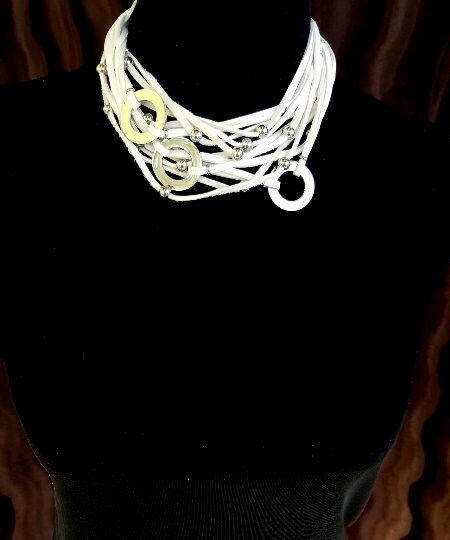 Multi Strand White Deer Leather Necklace. 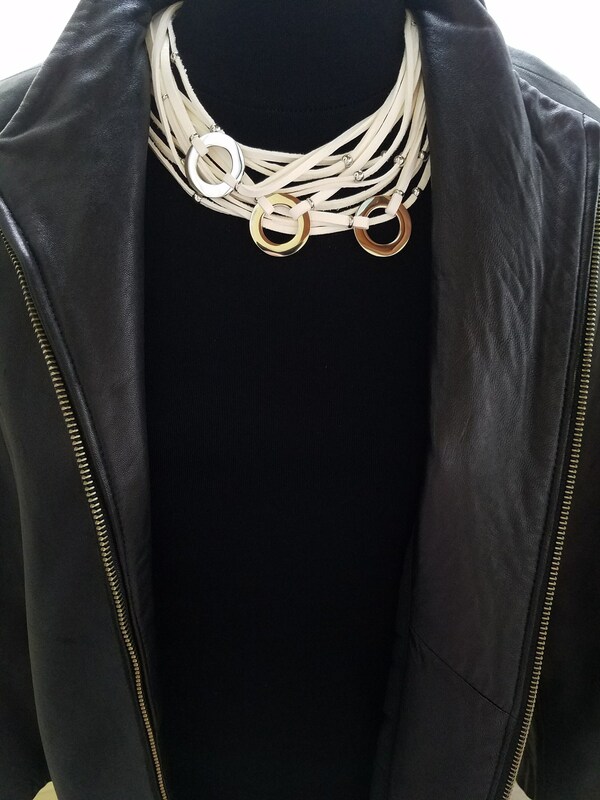 100% Genuine Deerskin White Leather. 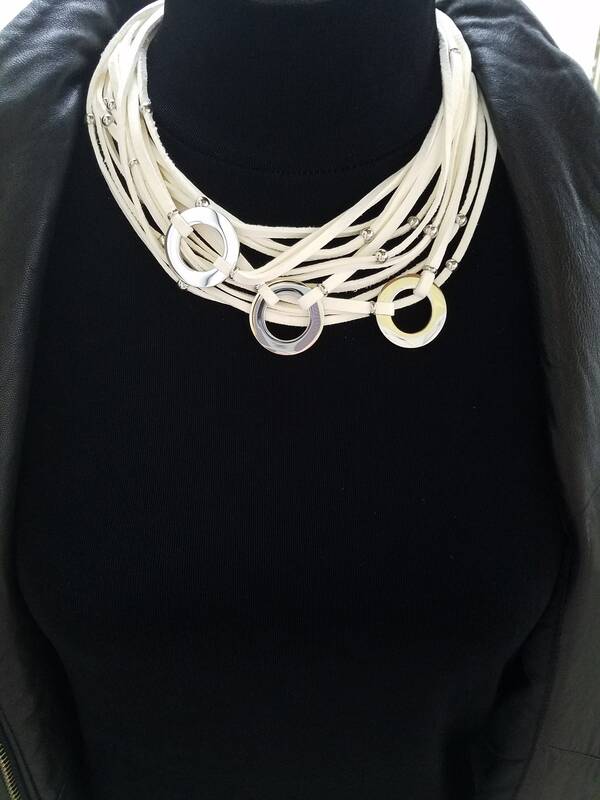 Supple White leather accented with Stainless steel rings and beads.